Do you need lab tables that are impervious to most acids, but can't afford to pay the price? We've taken our solid-phenolic lab tabletops and put them on a steel frame (instead of wood) to help keep the cost down. 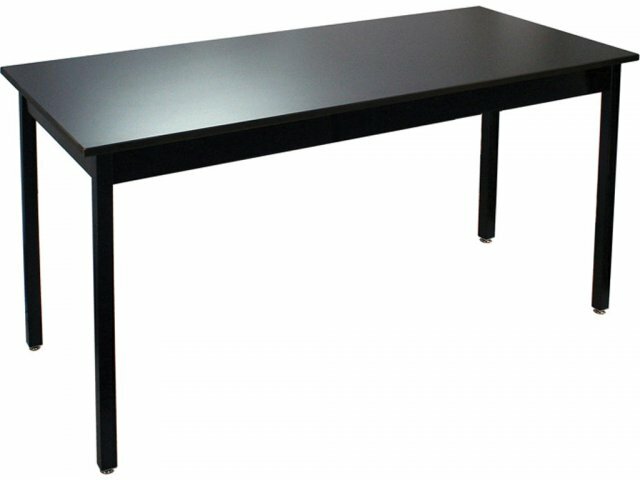 These science tables feature 1.25"-square steel legs of 16-gauge, and a 3" steel apron. The solid phenolic top is highly impervious to moisture and most acids. Solid-phenolic tops are highly impervious to most chemicals, acids, stains and moisture, but have limited resistance to heat. Sturdy Frames: The 16-gauge, 3" steel apron with double flange and 1.25" legs make this a strong, long-lasting science table. Adjustable leveling glides come standard with each table. More Chemical Resistant: Solid phenolic tops are impervious to moisture and most acids. 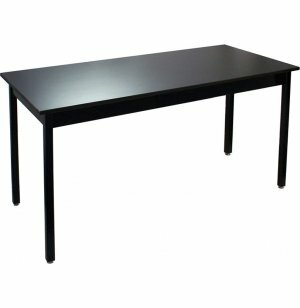 Budget Friendly: The combination of our best-selling Science-Lab Table and our best selling utility table give you the best value.